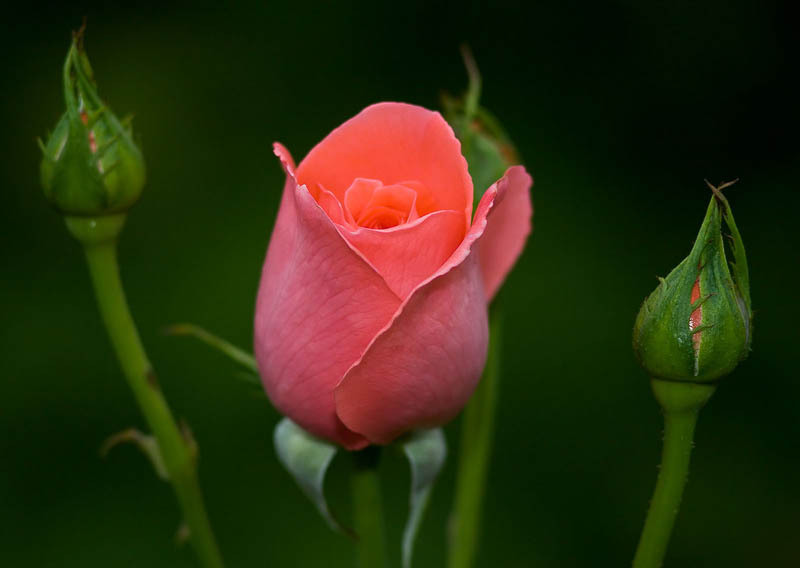 Macro of rose flower buds and bloom on green background. Blossomed ornamental plant. Botany, flora.